On the 20th edition of this prestigious prize, it is the first time that an ecologist is awarded. Her research team of the IFEVA (CONICET-UBA) studies the human impact on Patagonia. 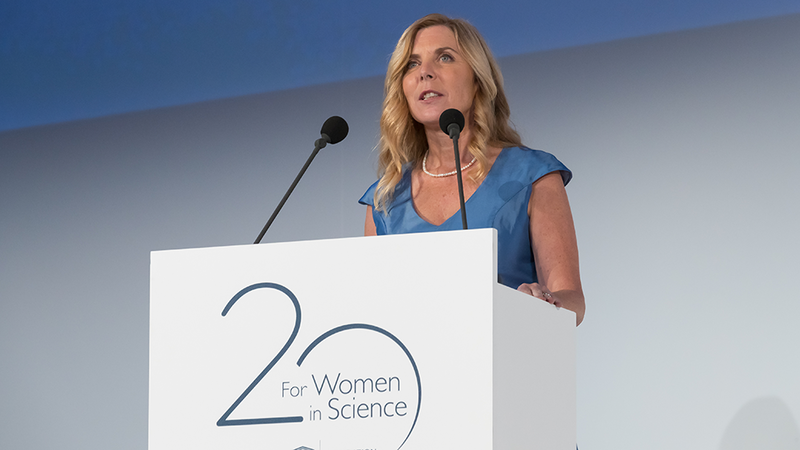 Amy Austin, CONICET principal researcher at the Instituto de Investigaciones Fisiológicas y Ecológicas Vinculadas a la Agricultura (IFEVA, CONICET-UBA), received the L’Oréal-UNESCO Award “For Women in Science.” As a representative of Latin America, she was selected by an International jury consisting of 10 renowned scientists and led by Elizabeth Helen Blackburn, who was awarded in 2008 the Nobel Prize in Medicine in 2009. This is the first time that a researcher specialized in ecology is awarded. For the scientist, this indicates the current role of this discipline in the community. “We study the human impact on ecosystems and how that can be translated into global changes such as climate change and how that can affect our health. Our work is reaching the public”, the researcher states. The scientist obtained her PhD in Biological Sciences in Stanford University, USA, in 1997 and received a research stay in Argentina financed by the National Science Foundation. She settled in Argentina, where she conducted her studies as a member of the IFEVA. “This award is for our research as a group during this time and is also an important contribution to the entire Latin American region”, says the scientist who became the fifth Argentine researcher who received this prize. As regards the other awarded scientists of this edition, Heather Zar, South African, was chosen from the Arab States and Africa region. She received the prize for her studies on pediatrics. From Asia/Pacific, Meemann Chang, Chinese, was awarded for her studies on Paleontology. In Europe, Caroline Dean from the UK obtained the prize for her research on Molecular Biology. In North America, Janet Rossant was awarded for her studies on Biology of development. In previous editions of this prize, the Argentine scientists laureates were Mariana Weissmann in 2003; Belén Elgoyhen, senior researcher at the el Instituto de Investigaciones en Ingeniería Genética y Biología Molecular “Dr. Héctor N. Torres in 2008; Cecilia Bouzat, senior researcher at the Instituto de Investigaciones Bioquímicas de Bahía Blanca (INIBIBB, CONICET-UNS), in 2014; and Andrea Gamarnik, principal researcher at the Instituto de Investigaciones Bioquímicas de Buenos Aires (IIBBA, CONICET-Fundación Leloir) in 2016. Furthermore, in the category “Rising Talent” in 2017, Julia Etulain, assistant researcher at the Instituto de Medicina Experimental (IMEX, CONICET-Academia Nacional de Medicina was awarded. Since the prize was created twenty years ago, more than 2,800 scientists were awarded in more than 115 countries; two of them received later the Nobel Prize. The L’Oréal-UNESCO Award “For Women in Science” was created in 2007 in collaboration with the CONICET. Amy Austin was awarded in the 9th edition, in 2015. The projects that participated in that occasion had to include life sciences and consolidate the role of women in the concept of scientific solutions to society problems in the new millennium. That year, Julia Etulain had obtained the award in the category Young Researchers.